Richard and I also performed our Theatre Arts piece, “Transformed,” in honor of remembering how Stan’s Gym was transformed into Rhapsody Ballroom; thanking God for transforming our lives; and wishing all our dance family the joy and peace of that transformation. To commemorate the 20 years of Rhapsody Ballroom’s history, its cast of characters, and regularly scheduled and special events, we designed a slide show which ran continuously throughout the evening. Our hope is to be able to post this online in the near future, as well as video and photos from the event as they become available. A special highlight of the evening was a beautiful plaque presented to Richard and me by the SouthernStar Chapter of USA Dance. We are truly blessed not only by this gift that we will always cherish, but by all of you who honored us with your presence at the celebration; by the kind words and comments you shared with us; and by the memories we will treasure always. We are so uplifted and inspired by all of the essays written for our contest on “What Rhapsody Ballroom Means to Me.” The Grand Prize winner of 1 year’s free admission to Wednesday evening dances was Egland L Alfaro Roman, and her essay will be posted on this blog shortly, to be followed by Honorable Mention winners. Through God's grace, the Rhapsody Ballroom community has given us a wonderful environment to grow not only in our dancing, but also emotionally and spiritually, and it is our prayer that it has offered the same opportunity to all those in our dance family. We are so very blessed to be surrounded by such warm, inspiring and caring people who share our love and passion for dance. We pray that the years ahead bring as much joy, happiness and fellowship as the past 20 years. Isn’t Jesus enough? 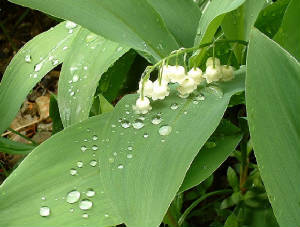 Why do some feel they have to gild the Lily of the Valley for others to appreciate Him? Several years ago, we were blessed by visiting the Holy Land Experience Park in Orlando when it was run by Marvin Rosenthal, a Jewish-born Baptist minister, of Zion’s Fire. The love of Christ shone in every face, from ticket takers to those who told inspiring messages in drama, song, and praise dance. The Gospel message – salvation by grace through faith in the death, burial and resurrection of Jesus Christ, Son of God Who paid our sin debt in full (1 Corinthians 15) – was evident in every exhibit, witness, and dramatic or musical presentation. Attention to detail and historical accuracy gave the visitor a true sense of living where and when Jesus walked the earth. We were so looking forward to our return visit a few weeks ago, as we knew many exhibits had been added. Our first experience that day was positive – a tasteful yet dramatic fountain display synchronized to Sandi Patty singing “We Shall Behold Him.” Sadly, it was all downhill from there. Our first clue to the very different perspective since Trinity Broadcasting Network (TBN) took over the park in 2007 was “Christus Gardens,” a wax museum allegedly depicting scenes from the life of Christ. The infant Jesus lay in a manger (Luke 2:7-16) filled not with hay, but with tinsel!! The next scene confused me. At first I thought it was supposed to represent Jesus eating with the publicans and sinners (Matthew 9:10-11), because His dinner companions were all decked out in glitzy crowns and fine brocade robes. Sadly, I realized from the number around the table and the seating arrangement that it was the made-for-TV version of the Last Supper (Matthew 26:20-30), where apparently the itinerant apostles who were told not even to carry an extra coat (Matthew 10:10) had rented kings’ attire for this special occasion! Other details at Christus Gardens were also less than Biblical – “Jesus” handing golden keys to Mary Magdalene as he appeared to her on Resurrection Sunday, and a white horse waiting by the tomb, as if He needed transportation! We shook our heads, but made our way toward the new Church of All Nations, a 2,000 seat auditorium used for the theme park dramas as well as for broadcasting Sunday church services. The opulence was overwhelming, far from tasteful, and even sickening. Ornate gold plaster moldings, huge crystals bedecking crowns, sequined silver lamais adorning the curved balustrades, and a Disney-style sculpted panorama encircling the ceiling, with lit-up replicas of the Leaning Tower of Pisa, the Coliseum, the Statue of Liberty, and other national landmarks. I do appreciate that the temple in Jesus’ day was God’s house, and that no expense was spared in decorating Solomon’s temple with taste and symbolism honoring God (1 Kings 6). Since Jesus ascended into heaven and the Holy Spirit indwelled each believer (2 Corinthians 1:22), the house of God has been within the heart of everyone who placed their faith in Jesus’ death, burial and resurrection (1 Corinthians 15) as the only way to heaven (John 14:6). Early Christian churches met in the homes of believers (Acts 16:15,40; 20:20; Romans 16:5; 1 Corinthians 16:19), and there is no Biblical mandate to build ornately decorated, large sanctuary buildings. Nonetheless, centuries later, the majestic cathedrals of early and later Christendom drew the eye heavenward with their lofty architecture, and their costly statuary and stained glass served as a Bible depicting scenes and characters that parishioners could not read otherwise, as most were illiterate and had no access to printed Scripture. And speaking of thrones, they were everywhere, in the lobby, in the gift shop, beckoning visitors who wanted to play King or Queen for a Day or just to get a great photo op. What the thrones had to do with Jesus’ earthly ministry I’m not sure, other than to remind us of Herod and Pilate while relegating Jesus to a supporting role or even to an extra. Speaking of photo-ops, these were available with cardboard statues of a hippie angel on a Harley-Davidson, and other characters from the dramas supposedly honoring Christ and the Gospel. Ah yes, the dramas. The first one we saw was supposed to be a tribute to patriotism, but the poor quality of the acting, singing and dancing came across as cheesy and left us feeling cheated. Next came an unfunny comedy about an angel (yes, the hippie on the Harley) witnessing to a café owner about angels in the Bible. This led to a shockingly irreverent portrayal of Daniel (Daniel 6:16-23) in a den full of pompous, cowardly, inept lions, and his “rescue” by an angel whose main function was to flap her butterfly wings. But the saddest of all was the “passion” play. It started to go south in a hurry when “Jesus” started whimpering like a scared puppy in the Garden of Gethsemane, crying about his fear of the ordeal to come. In the Bible, Jesus is described here as being “exceeding sorrowful unto death,” (Mark 14:34) not afraid, because of the cup of sin of all mankind that He would have to endure to pay the debt for all our sins. Taking on our sin would mean that during that time He would be separated from His Holy Father Who could not look on sin. But Jesus’ Godly sorrow was far from fear, for His perfect love casts out all fear (1 John 4:18). “Jesus” then died, then arose, then miraculously appeared at the back of the auditorium, wearing a huge sparkling crystal crown and a 40-foot long bejeweled purple velvet train. As he marched down the center aisle and shook hands with those who cheered him on, more angels with butterfly wings threw their tiaras on his train (wait a minute, I thought it was believers, not angels, who witness (Matthew 28:19) and who cast their crowns at Jesus’ feet (Revelation 4:10). It made me wonder if “Jesus” would be signing autographs in the lobby, but according to the printed schedule, I guess he had to get ready for an event described as “Have communion with Jesus!” We opted to skip that, along with “get your miracle” at the fountain of prayer consecrated by Benny Hinn. In fairness, it was not all bad – the grounds were immaculately kept and beautifully landscaped, and there were some interesting artifacts including a replica of the excavated boat thought to be the one in which the apostles sailed the Sea of Galilee when Jesus walked on the water. A drama called “Four Women Who Loved Jesus” was actually Scripture-based and quite moving once you got over the fact that these women, including Jesus’ mother, were dressed in costly sparkling gowns. And thankfully, the Scriptorium, an extensive collection of rare historical Bibles and Scripture parchments assembled by the previous owners, is still there so we ended our day on a positive note based on God’s Word. 2 Timothy 4:2 Preach the word; be instant in season, out of season; reprove, rebuke, exhort with all long suffering and doctrine.3 For the time will come when they will not endure sound doctrine; but after their own lusts shall they heap to themselves teachers, having itching ears; 4 And they shall turn away their ears from the truth, and shall be turned unto fables. Jesus Christ is my Creator, Sustainer, Redeemer, Lord, Saviour, Master, Friend Who sticks closer than a brother. I don’t need and I don’t want man’s fancy trappings and worldly ideas of dressing Him up with entertainment, Hollywood fanfare, wardrobe, pagan temples and special effects. He is all I need. Just give me Jesus. This post and others like it are at our sister website, Saved by Grace -- we hope you'll visit there! RhapsodyBallroom.com blog: reviews of nationally touring and local dance performances, and other articles of interest to dancers! Saved by Grace Bible study blog: a weekly Bible study and devotional blog! God bless and happy dancing! GUIDANCE = God – U & I Dance. This acronym for “guidance” is not my own, and it has been circulating on the Internet in various forms for more than 20 years, but it is one that bears repeating. Partnership ballroom dancing is to me a wonderful metaphor for a Biblical marriage (Mark 10:6-9), which, in turn, pictures the relationship between Christ and His church (Ephesians 5:22-33). In a fallen world, partnership dancing, like marriage, is subject to the influences of our own sin nature and of worldly distractions and idols (Mark 10:1-6). Before I was saved, my dance practices with my husband Richard were more like a shouting match than a harmonious collaboration, and our competitive energies and frustrations were mostly aimed against one another rather than at our actual competitors. On one memorable occasion nearly 20 years ago, furious that Richard was not seeing things my way (because of course I knew I was right! ), I stormed out of an evening practice session and proceeded to walk home. Never mind that home was about 5 miles away, through dark streets, and that I was wearing a skimpy practice dress and high-heeled Latin shoes, and that I didn’t even have the house keys. After realizing that I wasn’t planning on returning to the practice, and that I was too “directionally challenged” to find my way home safely, Richard set out after me in the van. When he caught up with me he quietly but sternly asked me to get in, only to have another car stop and the driver ask me if this man (Richard) was bothering me! At that point I had enough sense to say “No, ma’am,” and to humbly get in the van and beg Richard for his forgiveness. So before salvation, our stormy dance partnership reflected neither an ideal marriage ( Colossians 3:18-19) nor the submissive and trusting attitude a believer should have toward her Savior (Proverbs 3:5; Romans 10:3-4; James 4:7). But in its pure and perfect form, dancing can be a beautiful illustration of both relationships. The gentleman invites the lady with an extended hand; the lady accepts and moves toward him. He clasps her hand in his, protectively yet tenderly; she delicately balances her free hand on the support of his outstretched arm. He cradles her shoulder blade with his other hand, and she melts into their point of connection at the rib cage where she is keenly aware of his intended movement. He leads with power but without force; she responds by following with sensitivity, without tension or doubt. Together they dance as one, creating a far more beautiful picture than either could alone. In her flowing, colorful ball gown, the lady resembles an orchid nourished and supported by a sturdy tree, able to sway in the breeze without separating from the stability and protection of her partner. For all this to occur, the lady must completely and graciously submit to the gentleman’s lead, which is only possible if she senses that he can be trusted to always do what is best for her, even if it means sacrificing his own comfort or glory or putting himself in harm’s way to protect her. Most of the time, she dances backward, so she cannot see where she is going and must trust her partner to navigate around the other couples or obstacles that may be in the ballroom. Dancing on stage is particularly perilous, as she must trust him not to let her stray over the edge into the orchestra pit!. Theatre Arts ballroom dancing involves even greater trust, as the gentleman balances the lady in overhead lifts ( video). Sometimes their only point of connection is his hand on her back while she faces the ceiling, trusting him to balance her entering, during and exiting the lift, and not to drop her even if something goes wrong. If she panics or struggles, the shifts in balance make the lift even more dangerous and likely to result in a fall. So not only is the dance partnership a mirror of the marriage bond, but also of the believer’s relationship to Jesus Christ as Lord of our lives (Acts 10:36). He never imposes His will on us, but where He leads, we should want to follow because He alone is completely faithful ( Deuteronomy 7:9; Psalm 89:8; 1 Corinthians 1:9; 10:13), true (Isaiah 25:1; Revelation 3:14; John 14:6), and loving (Ephesians 2:4; 1 John 4:7). As in the dance, He always initiates (1 John 4:19), awaits our response, and then takes us further based on how closely we follow (James 4:8). The outcome is up to us -- we can pout in the corner and refuse to dance. Or, we can begin to follow Him and then fall out of step or even flat on our face, because we listen to our pride and impatience and insist on making our own moves ( Proverbs 16:18). Ideally, we accept His dance invitation and attune ourselves to His subtle signals, shutting out all distractions so we can swiftly and completely respond to His direction with sensitivity and commitment (Acts 17:28), following Him every step of the way. He will give us guidance -- the wisdom, joy and fulfillment we desire -- if we follow Him ( Matthew 16:24; 19:21,28; Mark 2:14; 8:34; 10:21; John 10:27). He is the one Partner Who will guide us through the dance of life with perfect grace and harmony until He safely leads us home.